Logistic nightmare from the fact that it involves border crossing and multiple bus and taxi rides, car rental, International and Domestic airport changes, flight delays from strikes and also the biggest barrier is probably language. Most bookings can't be done online, most of the companies aren't big tech savvy people thus a bulk of the bookings can only be done when you get there. Hence here's quite a bit of uncertainty and having to keep our itinerary as flexible as possible to accommodate to weather changes on top of all these tiny details. 690 peso from EZE to AEP. Most expensive taxi ride from this trip. Got this taxi from the TiendaLeon counter right before I exited the airport. 250 peso AEP to city. Used the company Transfer Express as there was a strike going on and lion was out of taxis for the next 2 hours, looked at the price list on lion was also 250 peso. 500 peso from El Chalten to river bend (aka ur road shot). Taxi is good for 2hrs. More than sufficient time. Used Cootra for inter state crossing between Argentina and Chile. Took the earliest bus they had which was at 8.30am daily. Bought tickets at hostel ranch grande. 1080 peso for 1 day car rental at El Calafate, Argentina for Perito Merino about a 80km drive. The entrance of the park is at about 50km and General admission is 250 peso per person good for 1 day. Opening hours 8am-4pm in the off peak/winter season. Stayed at Lo de Trivi in El Chaltén because the other one was full. Lo de Trivi just across the road from the one I recommend. Recommend Hostel Rancho Grande but slow wifi probably due to the number of people in that hostel. Faster wifi at my hostel which is just across the road. It's better to stay at the end of the road trailhead starts there. Try El Muro restaurant (San Martin 912, El Chaltén) also at the end of the road like that place most haha of all the places I tried. I will group them broadly into 2 sections. The Fitzroy, Argentina side and the Torres del Paine, Chile side. The Torres del Paine side is probably the more popular one whenever you hear anything about Patagonia, the next question you get is "are you doing the W trek? or the circuit?" Those are popular hikes on the Chile side. 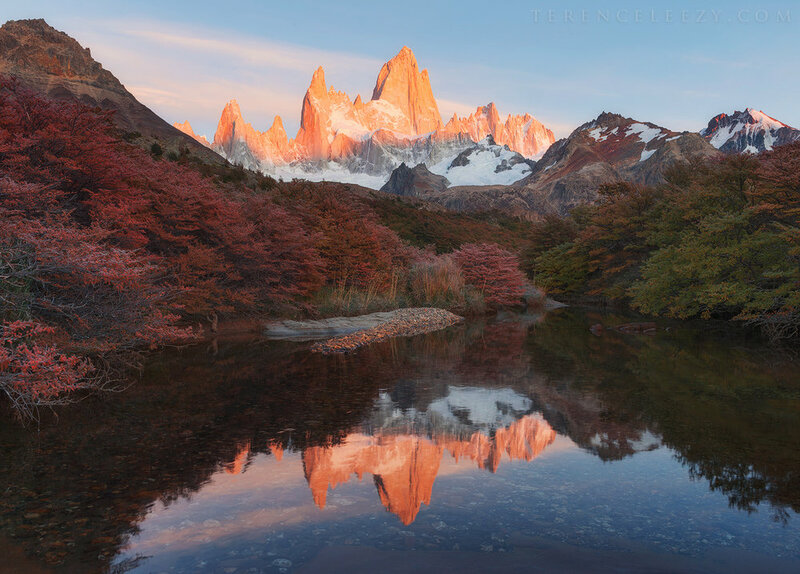 I personally having been to both very much prefer the Fitzroy side of Patagonia. I didn't end up doing the W hike due to weather conditions and only did a hike up to Mirador las Torres, Chile. I did a loop for Fitzroy in Argentina. The route I took was from El Chalten -> Laguna los Torres -> Cerro Torres -> El Chalten. Some interesting stuff I found out about Buenos Aires, the Capital city of Argentina, South America in general during my short stay..
Macdonalds in Buenos Aires (or might have been South America in general) doesn't accept credit cards with chip. I haven't seen a credit card without chip since my school days, so basically they don't take credit cards. I was kinda out of Argentina Pesos on my last day and didn't want to change more but wanted to eat french fries. 37 pesos (~3 usd) for a large fries and i only had 34 pesos. Ended up having to get fries from Burger King instead which accepted chip cards. Argentina Pesos aren't the most stable currency in the world and hence there's almost no way to change that currency back to dollar or pounds or euros out of Argentina. I tried to change some for the trip from all the major US banks and no one would do it. Hence spend all ur money there. I arrived at the domestic airport at about 7pm and taxis were delayed for 2 hours as there was an ongoing strike. Got to the city at 10pm and walked into a huge restaurant that was still kinda busy. There were so many kids still out with their parents on a Thursday night. When I left at about 11.30pm, the restaurant was packed with people and the kids were still there.. What time does school starts?! Contrary to popular believe, Argentina is actually not as cheap as one would imagine. Was talking to the Schilling hostel owner back in El Calafate, he was saying how the Patagonia area probably cost the most in terms of standard of living probably due to tourism with Buenos Aires coming close 2nd. But the rest of the states/cities in Argentina are also not far behind. The owner told us numerous numerous times to visit Mendoza, Argentina. In the pic, the Obelisco de Buenos Aires, a national monument that resembles Washington Monument in DC, is probably the most recognizable icon of the city. The city area looked a little like the streets of Paris and Milan type of architecture which was kinda cool. Interior of shopping malls had all these European looking pillars and decors. There's an area about 60 blocks (uber long walk since they don't have uber yet) from Obelisco de Buenos Aires called Caminito (which apparently means little walkway in Spanish) located in La Boca, Buenos Aires had all these bright colored rows of houses and buildings which appear on a lot of their postcards and totally reminded me of Burano, Venice.